After the disappointment of Me Talk Pretty One Day, I read a wonderfully entertaining book this past week and borrowed a bunch of great books for the kids too. Good reading times! Dreamers, Discoverers & Dynamos: How to Help the Child Who Is Bright, Bored and Having Problems in School by Lucy Jo Palladino. I’m reading this book to help my five year old, who is a discoverer / dynamo child and has a hard time fitting into a rigid, same-for-everyone education system. There are many steps you can follow as a parent of an Edison-trait child to help him or her take advantage or their wonderful talents without getting in trouble with the people who just don’t understand how they think and function. So far, I’m enjoying the read and learning a lot. Gone With a Handsomer Man by Michael Lee West. I’d never would have picked this book was it not for my book club, but I’m glad I read it because I loved it! How to describe it is the hardest part. Mix a murder mystery (add a few murders as you go), romance, deceit, humor and a whole lot of cake baking, all with a large dose of Southern flair, and it barely gives the book justice. I’m usually good at guessing mysteries but I never saw this one coming and I loved how things unwrapped, up to the very last sentence. 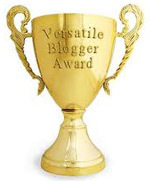 Michael Lee West clearly doesn’t take herself too seriously and this allows her to write freely and in a fun way, giving a lot of depth to her many characters. How fun is the writing? One of the chapters start with “Here in Charleston, you can’t swing a squirrel without hitting a professional chef, but I was determined to find a cooking job.” And yes, the whole book is like that. If you’re looking for a book that has a little bit of everything, this is it! The Secret Life of Bees by Sue Monk Kidd. It’s still waiting on my bookshelf, along with other books but I’m worried I’ll have to return some before I even start reading them, just because I got all of them at the same time and the library won’t let me renew because of their popularity. Irving and Muktuk : Two Bad Bears by Daniel Pinkwater. We’ve read the various adventures of Irving and Muktuk in the past but they never fail to entertain and make us laugh. Who doesn’t like to see two polar bears goof around, unable to resist eating blueberry muffins? We’ll get more of the series in the near future. Splat the Cat and the duck with no quack by Rob Scotton. This one is not as funny as the other Splat the Cat books but it’s still a great story to read with the kids. As a Level 2 book, it’s also great for emerging readers. Days with Frog and Toad by Arnold Lobel. This book contains two very funny stories and two more touching/reflective. This is another Level 2 book, great for new readers. Llama Llama Home With Mama by Anna Dewdney. The newest book in the Llama Llama series, and it’s as cute as the others. Find out what happens when Llama Llama gets sick and has to stay home with Mama. Into the Forest by Anthony Browne. A book that will remind readers of The Little Riding Hood but with a great twist at the end. A great read to confront fears and worries and make kids understand that sometimes, there’s no need to be afraid. As usual, this is quite unpredictable but more books are on order at the library! So here are the very few things I’ve managed to do in September. Sometimes, life takes a priority and you just have to deal with it. It would be nice to get a break once in a while, but I just have the feeling I’m not due for this yet. I declared war on very rude squirrels who never gave my melons a chance to grow as they munched onthe fresh seedlings and melon flowers (morons! 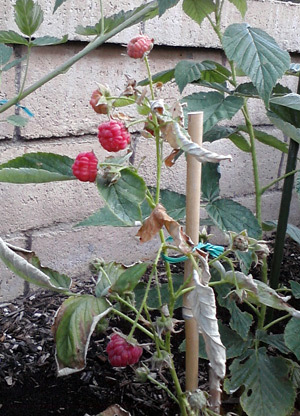 ), but I still managed to grow a few other things, including raspberries and zucchini. I’ve planted new seeds for a winter crop, so let’s see what happens to them. 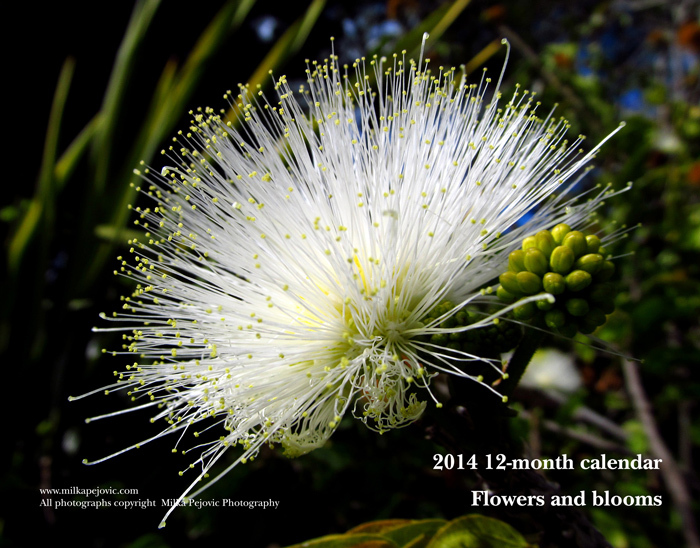 Fingers crossed – my bad streak has to end at some point, right?. We visited a local farmer’s market where I managed to find some delicious green beans and plums. By the way, I’d have green beans out of my garden if the bugs and squirrels didn’t munch on them so much… We also bought home the most fragrant strawberries of the whole summer. Definitely something to do on a more regular basis, especially in the summer. And please don’t ask me about the Health side of my 101 challenges. The summary is: I’m not eating great, I drink too much caffeine and I’m not sleeping even close to seven hours a night. I’m exhausted. Enough said. So there’s a lot ot make up for October and only 5 days left in the month. I’m sorry this isn’t a very inspiring story for people who may consider joining us but it’s still a great thing to accomplish as a person. I just remember there is a reason for allocating 1001 days to do everything.I know when things settle down (even for a few minutes), I’ll take a look at my list again. It’s only a matter of time. We found some good books to read this past week and I hope the same happened with you and your kids. “Gone with a handsomer man” by Michael Lee West. I’m reading this book for my bookclub meeting next Monday. I’m about 60 pages into it and I’m really enjoying – quite a funny book! My only complaint: the font size is way too small and makes it hard to read at my regular pace. “Me Talk Pretty One Day” by David Sedaris. What did I think about it? Me not find this book funny. Even though the second part was not as bad as the first part, this book was still awful and I don’t understand why it’s so popular. I think I have a pretty good sense of humor but this book just isn’t funny. I like sarcasm but only if it makes me laugh, and it didn’t. Sedaris recalls his days as a drug addict and there really isn’t much to laugh about. How wants to make fun of a pathetic junkie who fries his brain cells every day and can’t seem to find his way out? Not funny. In Part Deux, Sedaris discusses stereotypes the French have about the Americans, but he doesn’t seem to realize his book is also full of stereotypes about the French. My advice to you: if you’re looking for a funny book to read, skip this one and grab anything else on the shelf. Almost anything will be funnier than this. “Jumanji” by Chris Van Allsburg. My kids are still too young for the movie but they’re really enjoying the book! “Alexander and the terrible, horrible, no good, very bad day” by Judith Viorst. A great book to show kids that not every day goes well but we can deal with it by letting go at the end of the day. “Go away, big green monster!” by Ed Emberley. A great book with die-cut pages that make a monster appear, and then disappear. Great for little ones who may be afraid of monsters. “The Usborne Art Treasury” by Rosie Dickins. A lovely book showing 22 famous art works from around the world and step-by-step instructions for art projects you can do in the style of each artist. We borrowed this book from the library but it’s so good I’m planning to buy our own copy. “Shark in the Dark” by Peter Bently. A great lesson to teach kids that being a small fish doesn’t mean you get to be eaten by a shark if you can unite with other small fish in the ocean. Ah, strength in numbers, what a brilliant concept. I have no idea but some books seem to be making their way slowly to our library so I’m sure we’ll have new reading opportunities by next week. This has been a very unproductive week in reading for me but my kids have found some great books to read, so I’m happy for them. “Me Talk Pretty One Day” by David Sedaris. Yes, I’m still reading this book and I’m about half way through. I thought I’d enjoy reading it much more, but apart from some funny moments, this type of humor doesn’t agree with me. I do like caustic humor and sarcasm but this guy is just not that funny. I only hope it gets better in the second part. “Nurture by Nature: Understand Your Child’s Personality Type – And Become a Better Parent” by Paul Tieger & Barbara Barron-Tieger. I still have to write a separate post about this and I think you’ll want to pick up the book afterwards and see how this can help you understand your kids better. “The Secret Life of Bees” by Sue Monk Kidd. This book is patiently waiting for me at the library, along with a few others. I hope I enjoy the read more than “Me Talk Pretty One Day”. I need a good book right now! I just got my kids a whole bunch of books on nature, science and the human body and we’re enjoying learning more about everything every day. – “You Can’t Taste a Pickle With Your Ear: A Book About Your 5 Senses” by Harriet Ziefert – a book with funny illustrations and cool rhymes to learn more about the 5 senses. – “Amazing Bats” by Seymour Simon – a short book but full of interesting information about bats. Did you know the giant flying ox has a wingspan of 6 feet? Yikes! 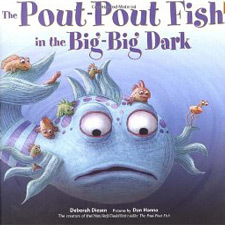 – “The Pout-Pout Fish in the Big-Big Dark” by Deborah Diesen – a really cool, cool book about Pout-Pout Fish conquering his fears of the dark to retrieve a pearl, and finding encouragement along the way every time he’s ready to give up. My kids really like this book and I highly recommend it. By the way, this is the sequel to The Pout-Pout Fish by Deborah Diesen, which I recommend too. – “It’s Christmas, David” by David Shannon – the Christmas version of the adventures of mischievous little David, including a page where David writes his name in the snow… with his own pee! My kids were actually shocked when they realized what David did and their surprised faces were priceless to watch. – “Splat the Cat: Good Night, Sleep Tight” by Rob Scotton – inspired by Scotton but written by someone else, this is an “I can read” book (level 1) and it tells of the hilarious sleepover adventure Splat the Cat has with his friends in his backyard. I’m still looking for season related books (Halloween, Thanksgiving, and soon Christmas) so we’ll probably get to read many new books in the near future with these themes. Feel free to suggest!